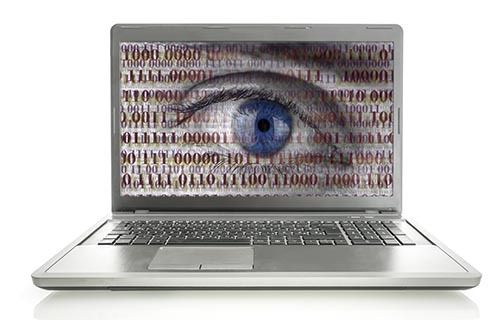 Cyber-crime – it could happen to you! Everything you’ve ever worked for could disappear with the click of a mouse…your identity could be stolen, your bank account could be cloned, and before you know it, your business could be tens of thousands of pounds in debt. Worse still, your company’s reputation could be in tatters. But protecting your company from cyber risks is an ongoing, demanding task. And as a business owner, it’s easy to feel overwhelmed, particularly as the terminology used to describe operations and security threats is very different from the language we all use in the business world. In today’s busy world, every business relies on technology in some form – and that means the value of a strong Cyber Liability Insurance policy will only continue to grow. With more and more information being stored and transferred electronically, the risks have increased dramatically. But businesses must also consider the Data Protection Act because a loss of sensitive personal information will mean fines and sanctions could be imposed. A stolen laptop or a hacked account can instantly compromise the personal data of thousands of customers – and an ill-advised post on a social media site can be read by hundreds in a matter of minutes. 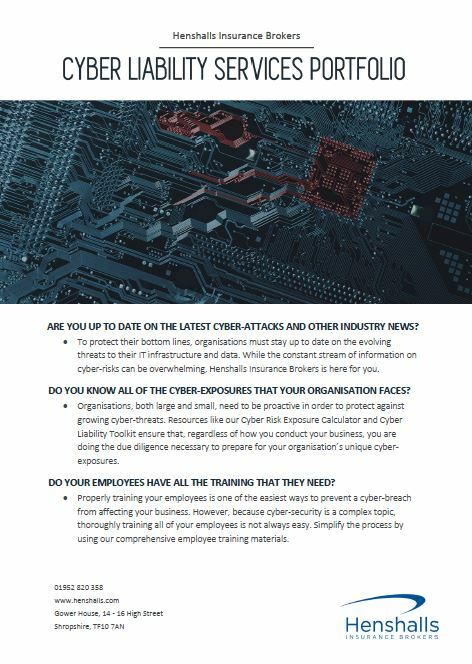 So protecting yourself from cyber liabilities is just as important as protecting your business from more traditional risks. A traditional commercial insurance policy is highly unlikely to protect your business against most cyber threats. And the range of elements of your business at risk is vast, from the content on your website right through to the customer data you store. New threats are continuing to emerge on a daily basis, so as your business grows, your cyber liability cover needs to grow with it. At Henshalls Insurance Brokers, we can analyse your needs and make the right cover decisions to protect all areas of your business from unnecessary cyber risks. Are you up to date on the latest Cyber-Attacks and other industry news? To protect their bottom lines, organisations must stay up to date on the evolving threats to their IT infrastructure and data. While the constant stream of information on cyber-risks can be overwhelming, Henshalls Insurance Brokers is here for you. Sign up to our newsletter to get specific news related to you!